Promotional value expires 90 days after purchase. Amount paid never expires. Appointment required. Additional fees may apply depending on hair length, texture, and density. Limit 1 per person, may buy 1 additional as gift(s). May be repurchased every 120 days. Limit 1 per visit. Valid only for option purchased. All goods or services must be used by the same person. Merchant’s standard cancellation policy applies (any fees not to exceed voucher price). Merchant is solely responsible to purchasers for the care and quality of the advertised goods and services. Amber, the owner of Amber is a Color Hair Studio is truly passionate about making her clients feel and look fabulous. That’s why her salon’s offer includes an array of hair services for both men and women that aim to revamp looks and accentuate the best features of each client. 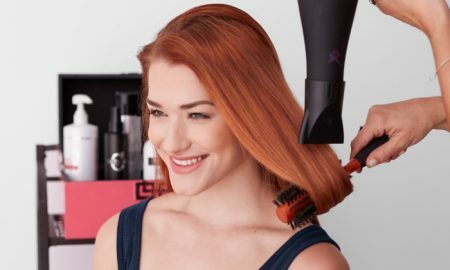 Whether they come to get a trendy cut, face-brightening highlights, or hair extensions, patrons can be sure that Amber is a Color Hair Studio has it covered.